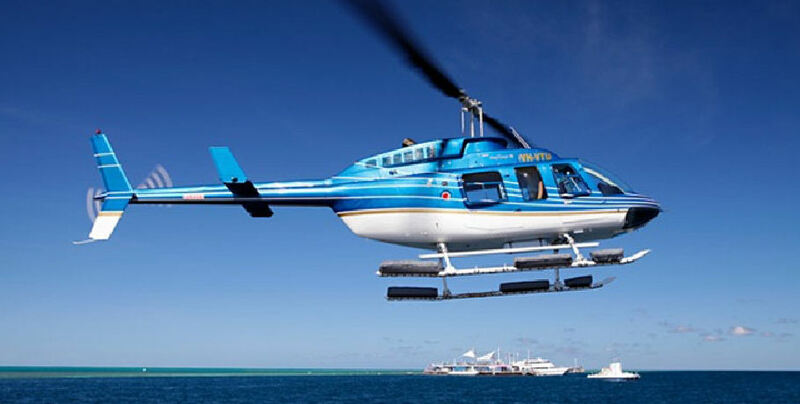 Fly/Cruise or Cruise/Fly options available upon request, subject to availability. 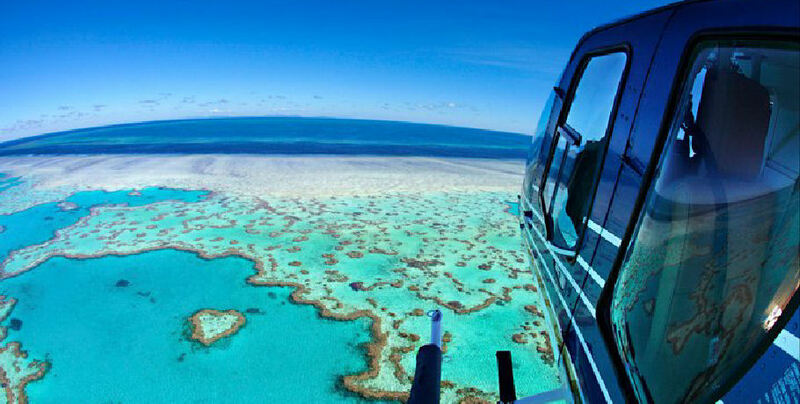 Experience the ultimate scenic luxury as you cruise through the tropical Whitsunday skies for a 35-minute flight in a helicopter! 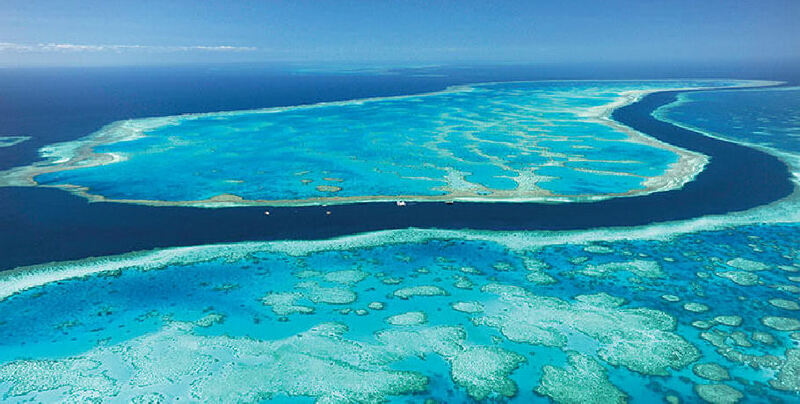 You will be taken over iconic locations such as Whitehaven Beach, Hamilton Island, and the outer Great Barrier Reef. 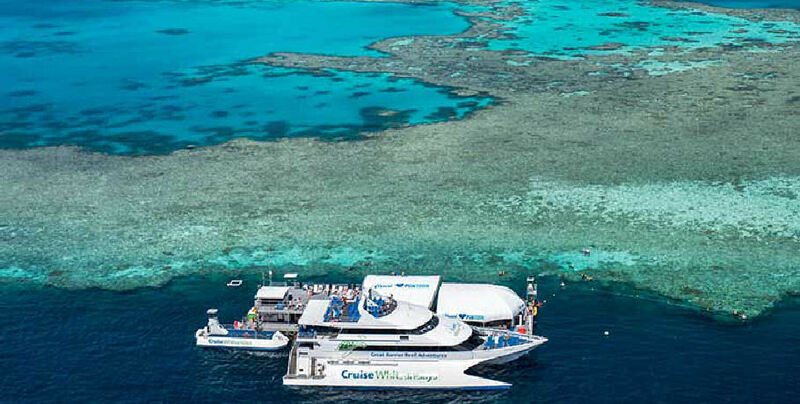 This tour also includes 2.5 hours at Cruise Whitsundays Reefworld- a floating pontoon moored near some of the best snorkelling reef. 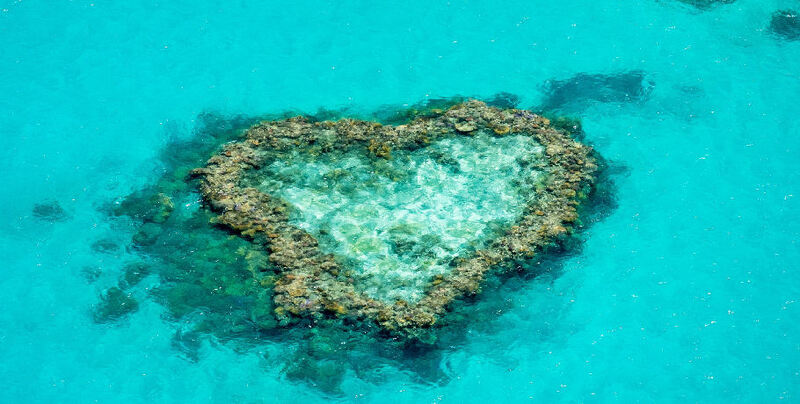 You will be able to immerse yourself in the temperate waters and see the vibrant coral gardens of this natural wonder. 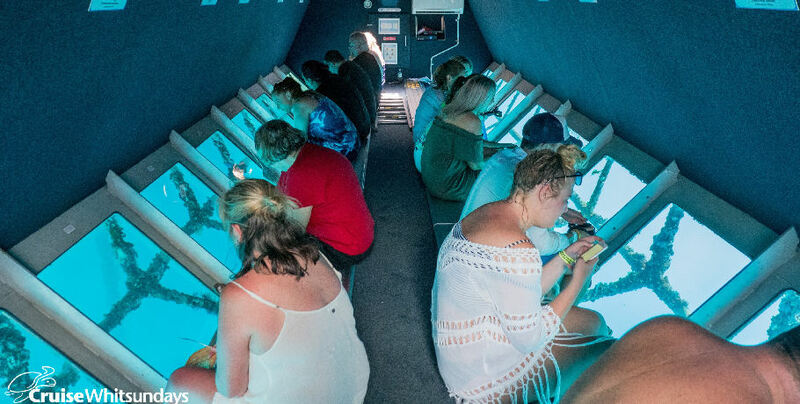 If you prefer to stay dry there is also an underwater viewing chamber. 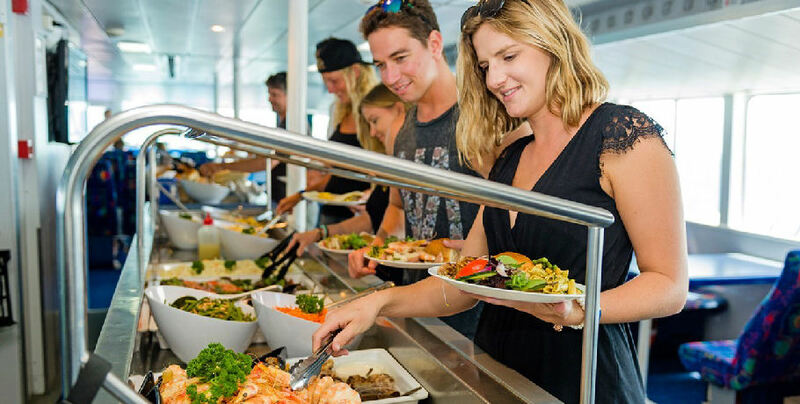 Enjoy a buffet lunch before returning to the mainland by catamaran. 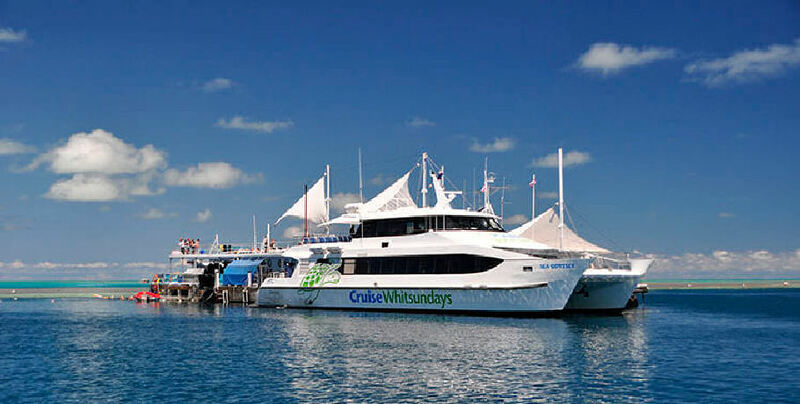 Please make your own way to the Cruise Whitsunday Terminal located at the Port of Airlie Marina. 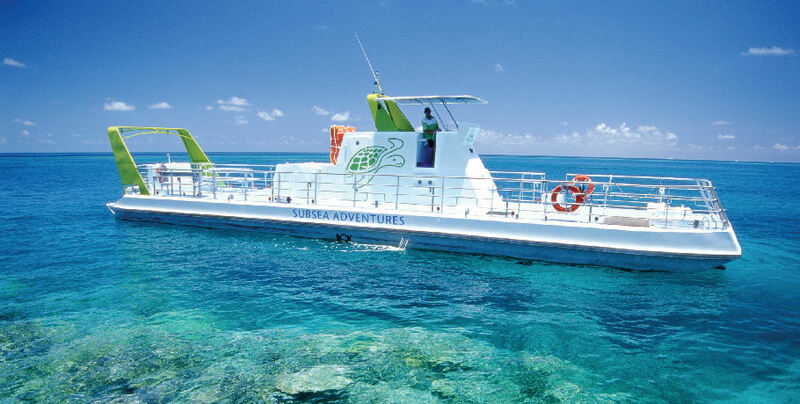 You will depart by boat to Hamilton Island promptly at 8am. 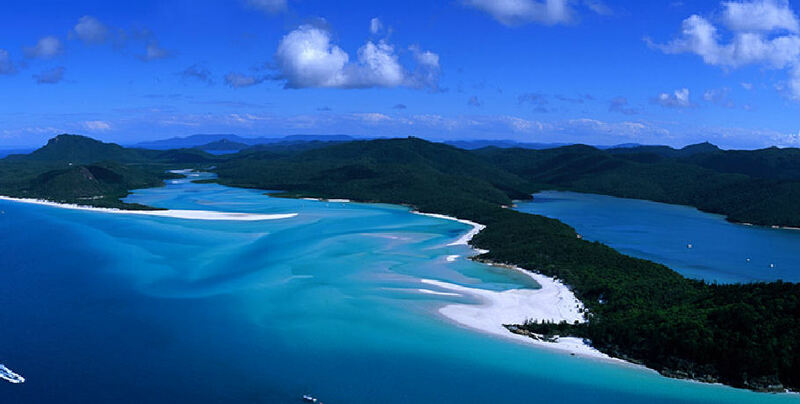 You will have approximately 1.5 hours to explore Hamilton Island before check-in with Hamilton Island Air at the wharf. The friendly crew will provide you with a safety briefing before you board the helicopter for your 35-minute scenic flight. 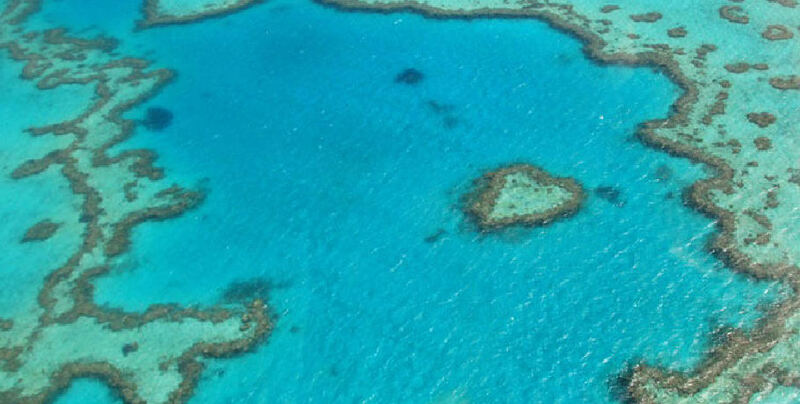 View the beautiful Whitsunday sights from air as your pilot shows you what the Great Barrier Reef Marine Park has to offer. 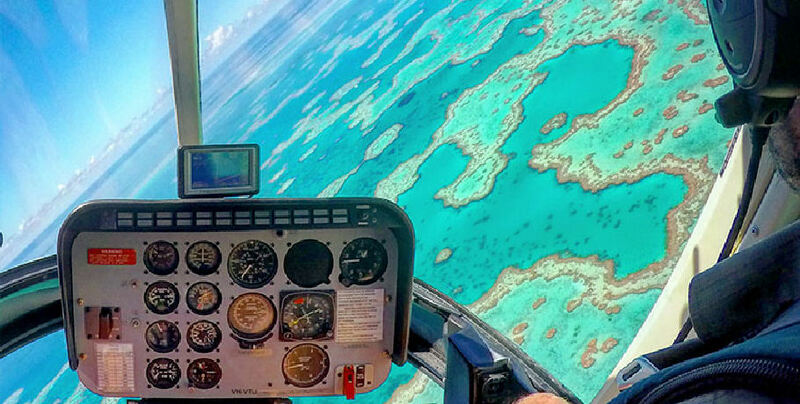 See the reef through the turquoise water of the Coral Sea and fly by the 7km pure white stretch of sand that makes up Whitehaven Beach. 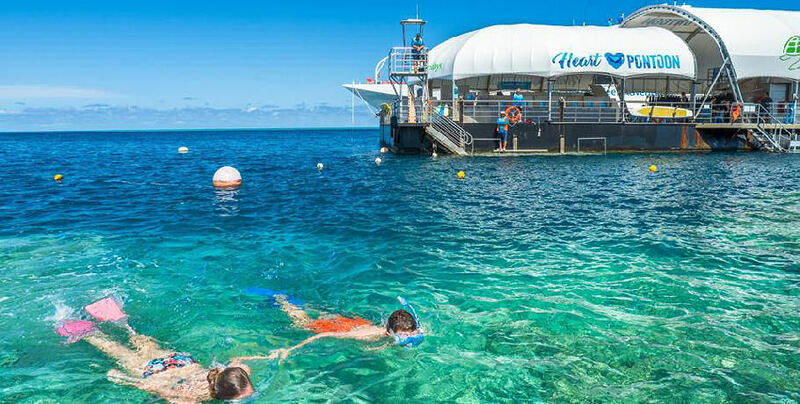 Land on the Reefworld Pontoon in Hardy Reef where you will have approximately 2.5 hours to enjoy the vibrant underwater world. You will also enjoy your delicious buffet lunch. Depart the Pontoon for a scenic journey by catamaran back to the mainland. 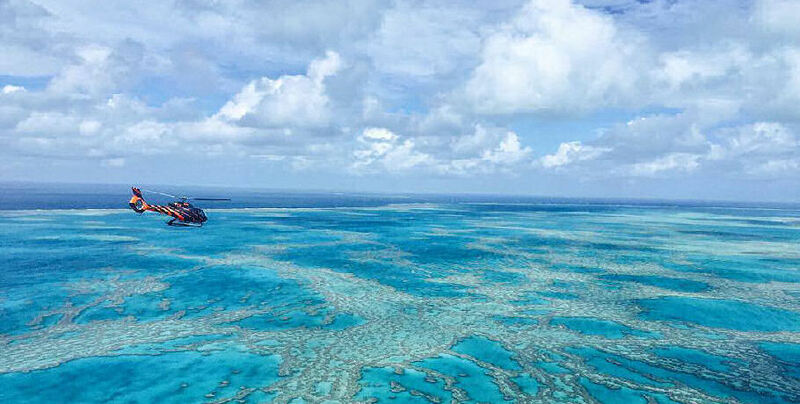 This journey will also involve stops at Hamilton Island for guests staying there. 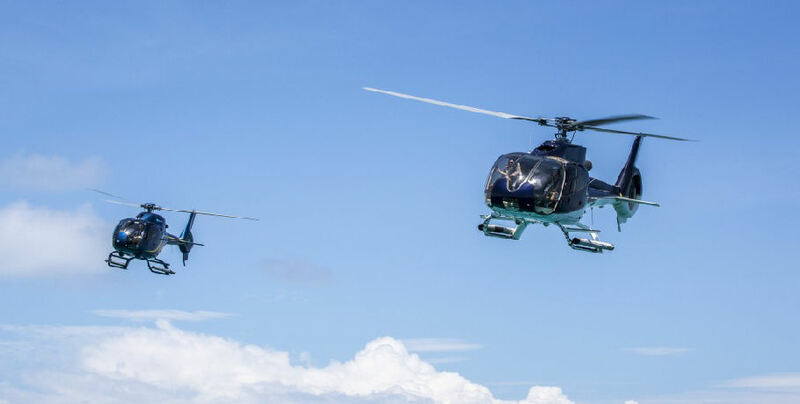 Please Note: Cruise/Fly option is also available upon requested if you would prefer your Helicopter Experience in the afternoon. All prices are per person and valid for travel until the 31st March 2018.Please bring your own towels, sunscreen and children’s toys. Minimum passenger numbers apply to all Tours and Transfers of 4 persons. The third person discount only applies to the same group booking in our R44 aircraft. For legal and safety reasons all passengers are weighed prior to boarding – individual weights in excess of 110kg will incur an extra seat surcharge. Combined body weights per two passengers booking’s in excess of 180 kg’s will incur an extra seat surcharge. Maximum per seat weight is 130 kg’s. Luggage restrictions apply to all Transfers, Helicopters, 1 medium size suitcase not weighing more than 20kgs and 1 standard test cell size carry-on bag not weighing more than 10kgs per person. Seaplanes, 1 standard test cell size carry-on bag not weighing more than 10 kg’s per person. Touring luggage restriction, 1 bag not weighing more than 5kg’s p/p. 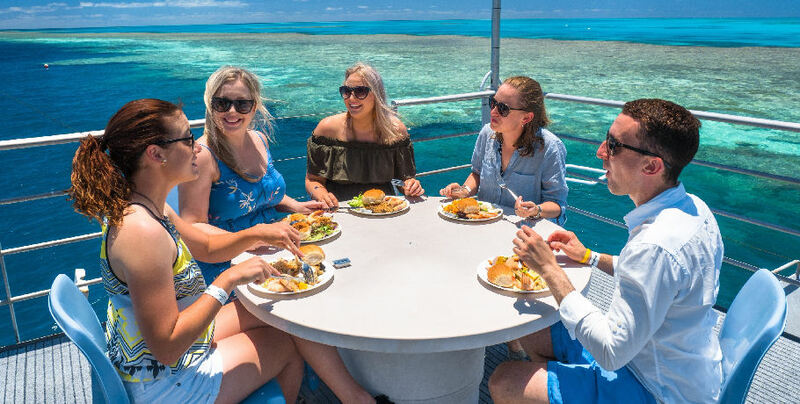 Single seats are available on a standby basis at 6pm day prior to travel only.Infant Policy (0-2 y.o.a)/ Child Age (3-13 y.o.a)Infants are welcome and are carried at the discretion of Hamilton Island Air; however, our tours are designed predominantly to accommodate adults. Some Tours are not suitable for infants, if in doubt please ask. Infants are classified as 0-2 years, one infant may travel free of charge on a parents lap in the rear of the aircraft. Please note that only one infant may travel FOC per aircraft, two infants may occupy 1 seat, the seat price applies. Children are classified as 3 – 13 years of age inclusive, must be accompanied by an adult on the flight.All information was correct at the time of print. Tours and prices are subject to change without notice.